The California Economic Summit sent a letter to the Legislature this week commending state leaders for beginning to grapple with the daunting scale of California's growing housing crisis—and for drafting a number of serious proposals that can move the state toward achieving the Summit's One Million Homes Challenge. The letter, signed by the co-leads of Summit Housing Action Team, highlights a list of nearly two dozen bills now moving through the Legislature that are worthy of consideration as important pieces of a statewide response to rising housing costs and the under-supply of housing. The letter also notes that most of this legislation, with its focus on below-market housing, will only address one part of the problem. “With fewer than one in three families now able to afford a median-priced home in California—less than half as many as the national average—and with rental costs soaring in cities across the state, the high cost of housing can no longer be viewed as an unfortunate consequence of a growing economy,” write Action Team co-leads Cathy Creswell, former acting director of the California Department of Housing & Community Development, and Ray Pearl, executive director of the California Housing Consortium. They also point out the credit agency Standard & Poor’s has stated the state’s sky-high home prices, by impacting everything from what people can buy to where they live and work, are now posing a threat to California's longer-term economic growth. 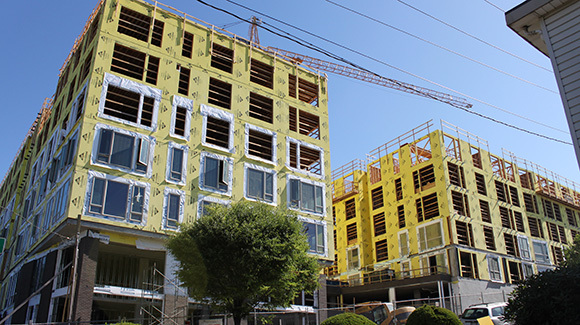 “We have seen firsthand the impacts of the state’s affordable housing crisis—from rising homelessness and increasing numbers of people living in poverty to large numbers of middle-class workers being forced to move far away from their jobs,” say Creswell and Pearl. Since the 2015 Summit in Ontario, the Summit’s Housing Action Team has begun working to develop a set of fiscal, land use, and regulatory incentives that can address the full scope of the state’s housing challenges—an “all of the above” strategy that will unleash the market and increase supply of both affordable and market-rate housing close to jobs and transit. The Summit plans to work with lawmakers to promote these ideas in 2017. What can the Legislature do this year? In the meantime, a number of bills now moving through the Legislature could also be important parts of a statewide response to California’s housing crisis. The letter highlights ideas that range from spending $1.3 billion in one-time funds on housing in this year’s budget to proposals that would expand local financing of affordable housing projects, allow local governments to adopt inclusionary ordinances for rental housing, and permit more homeowners to build second units on their property. The legislation now moving through the Legislature, in other words, will not be enough to solve the state’s housing crisis. Even if all of the 20 or so bills passed (certainly not a guarantee, given the governor’s wariness about the state’s fiscal condition), they would likely produce tens of thousands—or perhaps even more than 100,000—housing units. But to adequately house the more than 1.5 million Californians who don’t have access to an affordable home, and to make a dent in the state’s housing undersupply, the state must produce at least that many more units each year for a decade. “The Legislature is to be commended for starting to grapple with the daunting scale of this crisis—and for drafting a number of serious proposals for moving the state toward the One Million Homes Challenge,” write Creswell and Pearl. But more, much more, will have to be done. In their letter, they offer the Summit’s conceptual support for these ideas and encourage policymakers to take an even more comprehensive view of the state’s housing needs—which will require a combination of state investment in affordable housing as well as a broader effort to update the fiscal, land use, and regulatory policies that stymie all types of housing development. “Closing the state’s expanding affordability gap will require all of the ideas and more—an ‘all of the above’ strategy that must be accompanied by a commitment from civic leaders in every region to work together to increase the supply of housing in California,” write Creswell and Pearl. Read the full Summit letter to the Legislature here.